There's new talk of a sequel to the Bogie classic. But there's no reason to play it again. 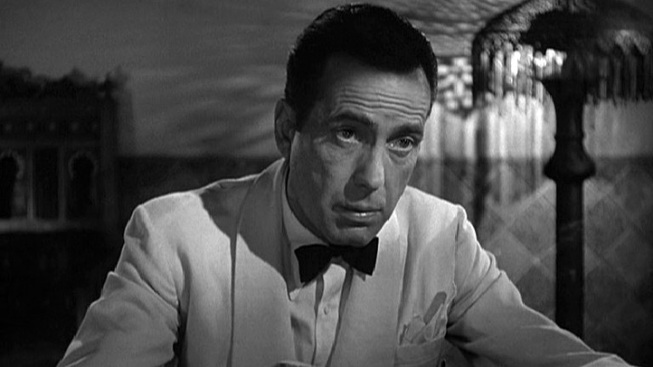 "Casablanca" just wouldn't be the same without Humphrey Bogart. "Casablanca" ends with Humphrey Bogart's Rick telling Claude Rains' Captain Renault, "Louie, I think this the beginning of a beautiful friendship," a memorable line in a movie with a hill of them. The audience, of course, didn't get to see how that "beautiful friendship" plays out, except in our collective imagination, where the classic film resides in a special spot. With the Oscar-winner approaching its 70th anniversary this month, the New York Post reports a new proposal for a sequel is being floated ­– this time by producer Cass Warner, the granddaughter of a Warner Bros. cofounder who is reviving a three-decade old idea by “Casablanca” co-writer Howard Koch. While we admire her spirit and dedication, there's no compelling reason ­– to paraphrase Woody Allen's paraphrase of Bogie's Rick – to play "Casablanca" again. Why, after all, tempt fate by returning to a movie about fate? "Casablanca" offered the perfect ending, in part, because it left us wondering what would happen next: Would star-crossed Rick and Isla ever meet again, at another gin joint or otherwise? Would Isla and Victor make it to America? Would Rick and Renault’s alliance take them to the French Resistance? That it's not a particular happy ending – just the right one – makes it all the more powerful and enduring. Not that we're shocked – shocked! ­– by the push for a sequel. There have been several attempts over the years to revive the "Casablanca" franchise in book and TV form, including a short-lived early 1980s NBC drama staring David Soul and the great Scatman Crothers. In the post-"Star Wars" era, Hollywood moguls plot sequels as potential blockbusters are made. Some of this started with a few years earlier when the success of "The Godfather" in 1972 spurred the relatively quick turnaround of "The Godfather Part II," to some minds a better film than the original. The follow-up benefitted greatly from the presence of Al Pacino and other actors from the first movie. As the Post recounts, there were a couple of efforts not long after "Casablanca" to pull together sequels of sorts. That would have been the time to reunite the usual suspects – Bogart, Rains, Sydney Greenstreet, Paul Henreid and Ingrid Bergman – who shined in one of the best-cast movies in Hollywood history. But unlike Isla and Victor's plane, those plans never got off the ground. Whatever comes of the sequel bid, it likely won't amount to a hill of beans compared to the original. Either way, we'll always have "Casablanca."